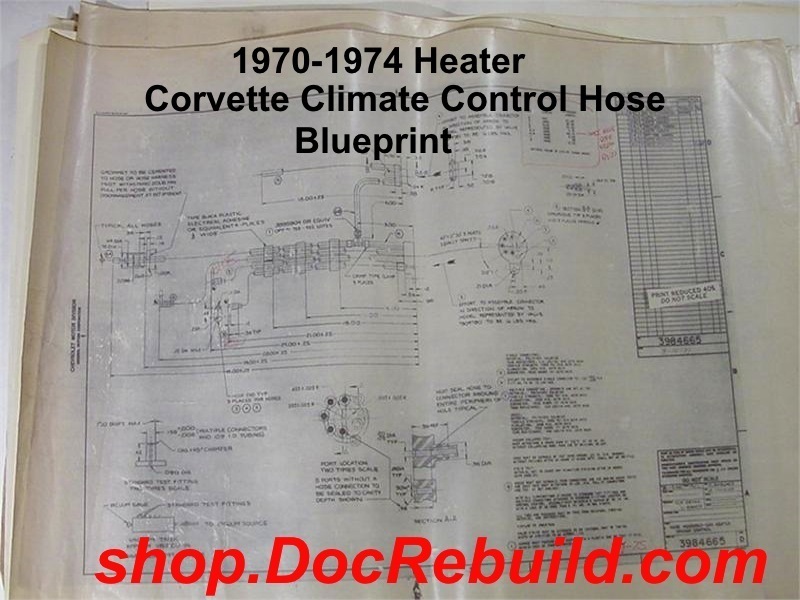 1969 Late-1971 Early Corvette Climate Control Hose Kit without AC Repro Of GM 3984661. CAVEAT EMPTOR: all made in USA even the T-Pipes Includes color coded striped rubber hoses & T-pipes needed to replace leaking originals. 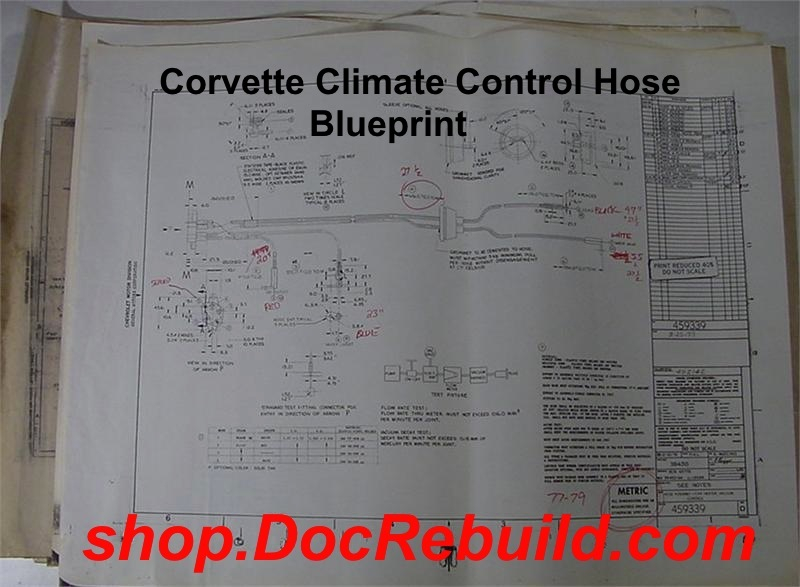 Vacuum leaks in this circuit prevent different climate modes from operating. i.e. no defrost, no heat, no AC, no bi-level. Used with a hot water shut off valve. 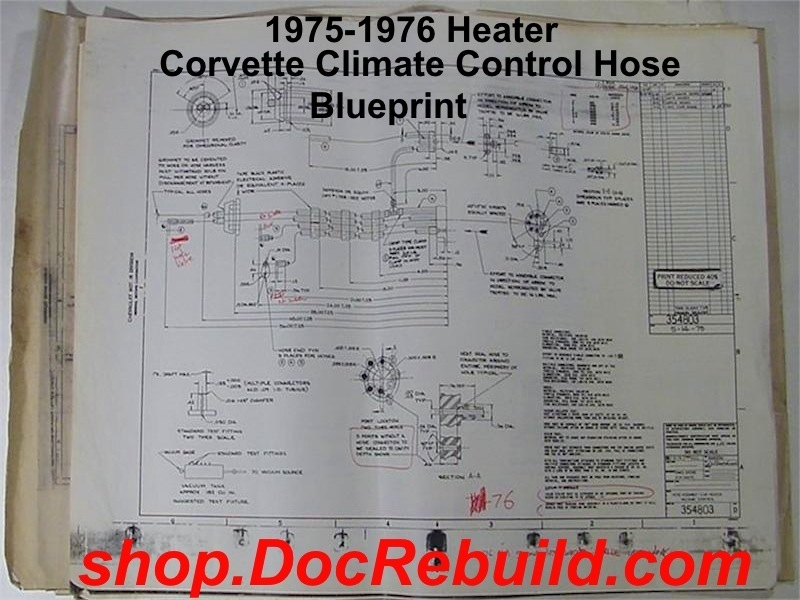 Early 69 use a rubber hose from the console climate controls to the rear vent door actuator; Late 69 use a metal tube with a hose at either end. 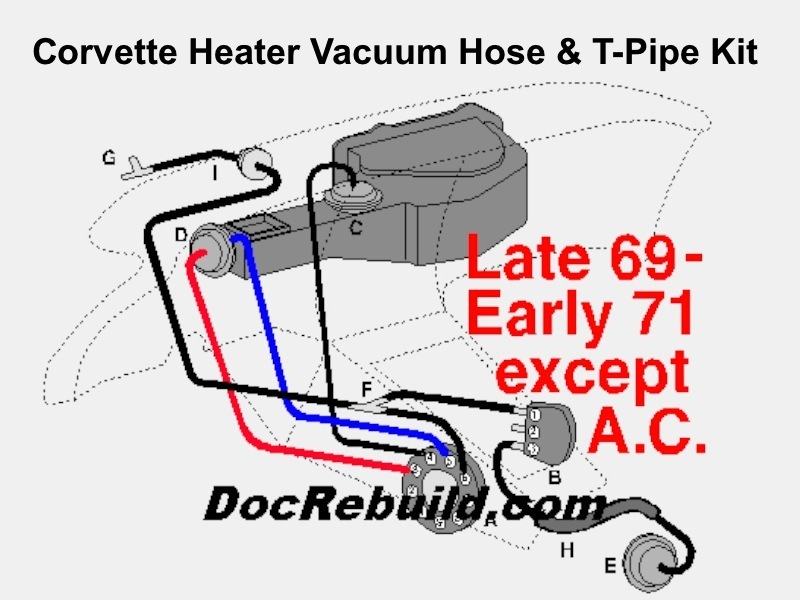 Early 71 does not use a hot water shut off valve; Late 71 use a hot water valve. 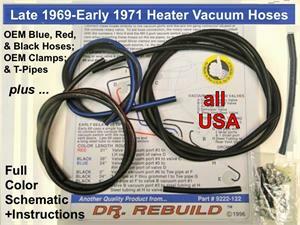 NOTE: per the GM Workshop Manual the assembly line gang connector can be discarded if any hoses are replaced. 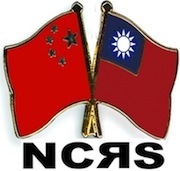 This is a quality USA manufactured replica with no tell tale noxious odor as found in many uncured imported rubber parts made from who knows what. 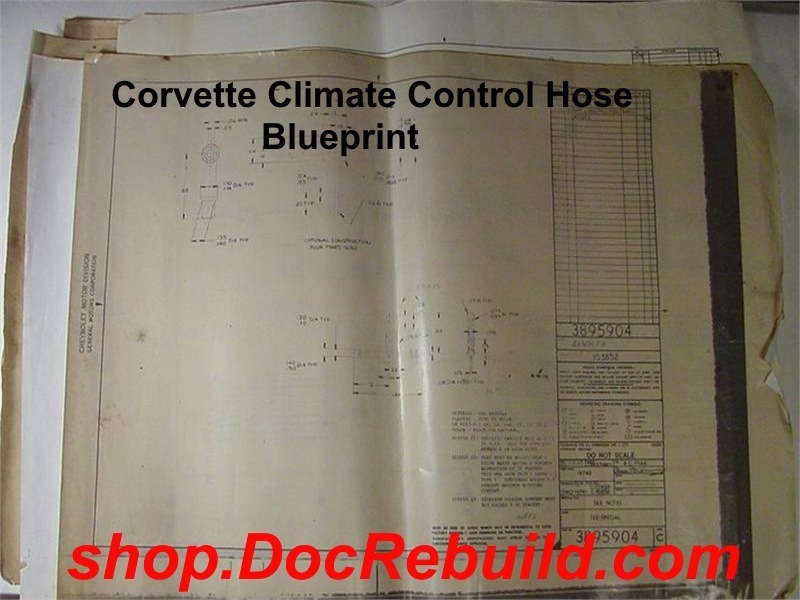 These hoses were replicated with the assistance of the actual GM blueprints. 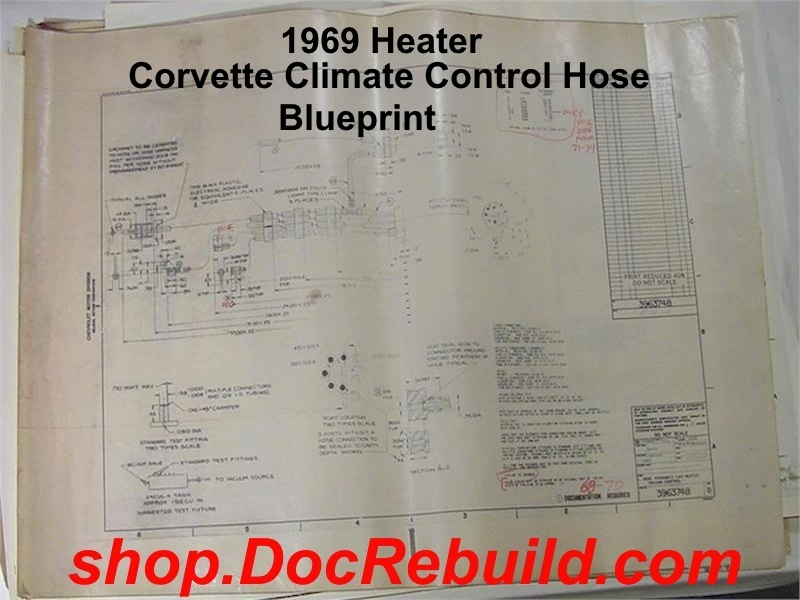 View More Images (ABOVE) and see some of these GM blueprints. What do you think Zip used? 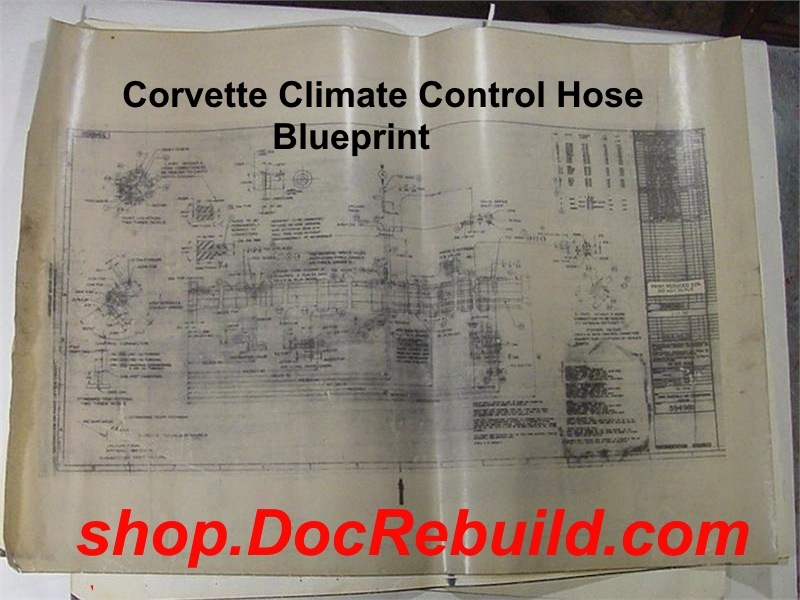 Don't hold your breath waiting for them to display any GM blueprints. I'd bet they have zilch, zots, zip.